This is an old IB internal assessment question and so can not be used for the new IB exploration – however it does give a good example of the sort of pattern investigation that is possible. Therefore we can eliminate to find that b = -6 and c = 1. 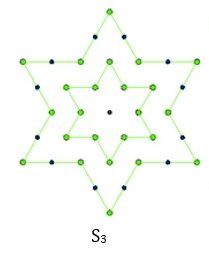 The outside star edge of S3 can be thought of as 6 copies of the 3rd triangular number, but where we subtract 6×1 (the first triangular number) because we double count one of the internal points six times. We also subtract 6 as we double count each vertex. 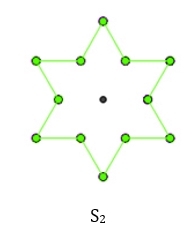 The outside star edge of S4 can be thought of as 6 copies of the 4th triangular number, but where we subtract 6 x 3 (the second triangular number) because we double count three of the internal points six times. We also subtract 6 as we double count each vertex. 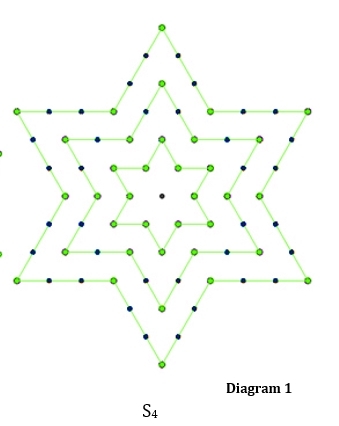 The outside star edge of S5 can be thought of as 6 copies of the 5th triangular number, but where we subtract 6 x 6 (the third triangular number) because we double count six of the internal points six times. We also subtract 6 as we double count each vertex. Note that when we substituted the nth term formula for S2 into S3 we had to shift the n value to become n-1 as we were now on the 3rd term rather than 2nd term. Quite a bit more convoluted – but also more interesting, and also more clearly demonstrating how the sequence is generated. We can then generalise to find stellar number formulae for different numbers of vertices. 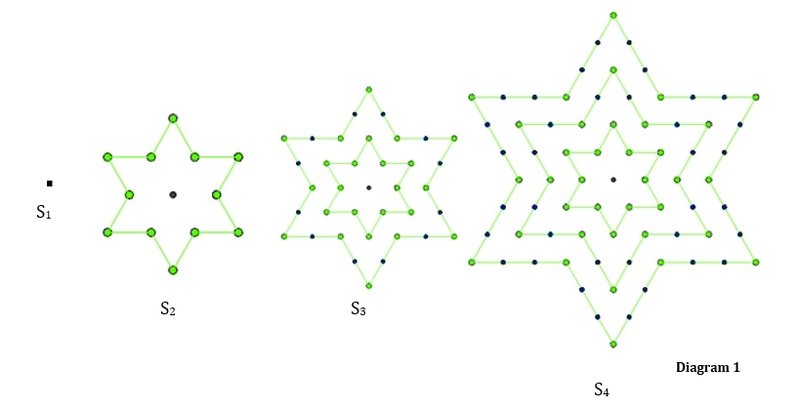 For example the 5-stellar numbers pictured above have the formula 5n2 – 5n + 1. In fact the p-stellar numbers will have the formula pn2 – pn + 1. Therefore, although our second method was slower, it allowed us to spot the pattern in the progression – and this then led very quickly to a general formula for the p-stellar numbers. The Goldbach Conjecture – The Goldbach Conjecture states that every even integer greater than 2 can be expressed as the sum of 2 primes. No one has ever managed to prove this.